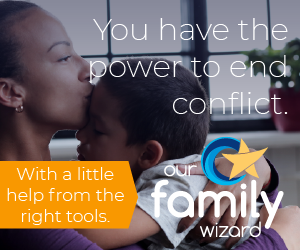 Many high-conflict divorce and custody situations are rooted solely in one’s desire to completely control their target. The most effective way to accomplish this is by interfering in the targeted parent’s relationship with the children and vice-versa. The harder you fight for your parental rights, the harder the controlling personality escalates. This escalation will very often lead to the false allegations of abuse against the children, the ex-partner, or both. Further, it’s not all that unusual for a survivor of child abuse or a person who makes repeated false claims of having been abused themselves – to up the ante to false allegations of child abuse. It is the go-to chip in the battle over total control of the children. They are the sharpest weapon with which the high-conflict parent can cut their target to the core. That’s why it happens so frequently. As with any situation rife with such pitfalls, the more prepared you are to deal with false allegations of abuse, the better possible outcome for you. That doesn’t mean you won’t spend some time separated by force of law from your home and your children. You simply have to deal with that and forge ahead with your defense. Preparation, documentation, and witnesses are all key to convincing the court that the allegations are without merit. In addition to successfully defending yourself, you may gain the added benefit of demonstrating to the court that your ex-spouse is a liar, a perjurer, and will stop at nothing to separate you from the children. Some key elements that will go a very long way towards helping your defense are quite simple, though some do take discipline. #1 on the list is a daily diary or journal. If “during the day journaling” is impossible or otherwise inconvenient, do be sure to close out your day by spending time, every single day, to document your daily activities. Note where you were, the times you were there, who you saw or interacted with (even people behind counters and registers – get to know them by name), and any other pertinent details – for instance, if any specific place has security cameras. You must do this every single day, particularly if you believe in any way that you could eventually be the target of a false allegation of abuse. Cash. Stockpile whatever you can. Defending yourself against false allegations, especially if those allegations involve sexual abuse, is incredibly expensive. Cut-off contact with the accuser completely! Don’t try to reason, get an explanation, or otherwise believe that you can simply make this go away. You will almost always only hurt your case by making contact with your false accuser. Honor any restraining orders that will likely be put in place as a result of the false allegation. Even if the allegations are completely false, a violation of a restraining order will be treated the same way. Don’t believe for one second that because you’re innocent, violating a restraining order will be made to go away, either now or in the future. Choose an attorney with much experience dealing with false allegations of abuse. You want someone with very specific experience in these matters. Find a support group. A non-custodial parents group, a shared-parenting group, a father’s and children’s rights group, a divorced mother’s group. Too many people feel isolated and all alone in such matters. Nothing could be further from the truth. They are also often a wealth of resources and referrals to exceedingly helpful organizations. Better prepared, better outcome. These are the words we work by and that we live by. We hope you do, too. I have found unfortunately, that the legal system also values the idea that lack of communication is detrimental and awards the party who prevails in establishment of control over both access and the children. After all the dog and pony legal show may go on for months or years depending on how well you can finance the legal beagles. This would reflect the archaic view that the reality of family courts is what is black is white and it is as clear as day the adversarial system favors the one who punches as low as possible. Worse they are as sexist as any feminist you will find. No amount of money will prevent the counting houses of justice from valuing your case from a fiduciary perspective and will plan business accordingly. They already ran the numbers you were as litigants both forced to reveal every single cent you were worth. Also be very aware of the politics, this is a gaming monopoly business and the public loves a good bad male and child abusing story. It’s not just the legal systems in the US. Just found this story on another blog about a Harvard educated lawyer in Italy, Marianne Grin, who seems to have specialized in False Allegations 101 in Italy and when they were disproved there, she abducted the children to Russia and started making them all over again. Seems that manipulating the custody process through false accusations is a universal symptom, regardless of whether accusations are made in the US, Italy, or Russia (or in this case all three places). To Nilah’s point above, how do you punish a false accuser if they just pick up and move to a new country? I brought my ex- partner from overseas, discovered that she lied to me and had mental condition. I ve tried nearly five years to help her to fix her problem , but her mental illnes was so deep , that ended the marrige and her laywers draaged the case into four years of non sence court appearance, that ended up in a corrupt Judge throwing all my evidence out of the court file, selling my three homes and I did not get even one cent , and giving the ill mother full custody, and having a deal with the ex partner laywers to file a security cost against my appeal for 25,000 dollars. I did not have that money and my case is hidden from the whole world, the Judge was due to resign and my child continues to suffer from her ill mother and I have not been able to see my child. I’m fighting a custody battle right now because my ex wife coached my 7 yr old son to make false sexual molestation claims against me to his school counselor. I had full custody of my two boys after the divorce, but 2 years later, she violated the court order to keep me updated with her contact info, and her one month summer visitation turned into two months. During that time, she filed court papers saying I had abandoned them into her care and was going for full custody. I was finally able to track her down, and stop that order by agreeing to joint custody. HUGE mistake on my part. Since then, her lack of responsibilty where the boys are concerned have become quite apparent. Missed Parent/teacher conferences, failure to meet the boys at their bus stop (boys are 7 and 5), 60 missing homework assignments in a 3 month period (this was after the allegations were made and I was forced out of their lives by the police and CPS), failure to continue taking the boys to therapy…Her excuse was that the therapist wasn’t calling her to confirm the appointments and it wasn’t her responsibility to remember the appointments. Fortunately, my family and friends know the truth and have helped me get a VERY good lawyer to not only fight the allegations, but work to get the boys away from their mentally unhealthy mother. I’m worried to death about what kind of psychological and emotional damage she has done to my children since this all started (back in March 2011). The cost has been high, just having a 9 hour psycho/sexual evaluation (by a CPS sanctioned psychologist) which showed I’m not capable of molesting children, ended up costing $4500. But it was well worth it. I have a custody evaluation coming up and hopefully, the evaluator will determine the extent of mental illness their mom has and recommend sole physical and legal custody to me, so they will be safe once again. Would love to know how Ryan from Jan. 23, 2012 turned out, as I am in a similar situation though not including sexual molestation………yet. I have four kids, who I raised, and who have sent me letters, emails and texts that they want to live with me, as well as drawings of abuse from their mom since I was forcibly removed from my home with a false domestic abuse complaint with absolutely no evidence followed up by a final restraining order pasted on my back like a scarlet letter from a judge who believed her tearful story of how she can’t sleep at night becuase when she hears noises outside she thinks I am coming to hurt her…………and I could go on and on but am very interested if anyone there knows what happened in Ryan’s case?